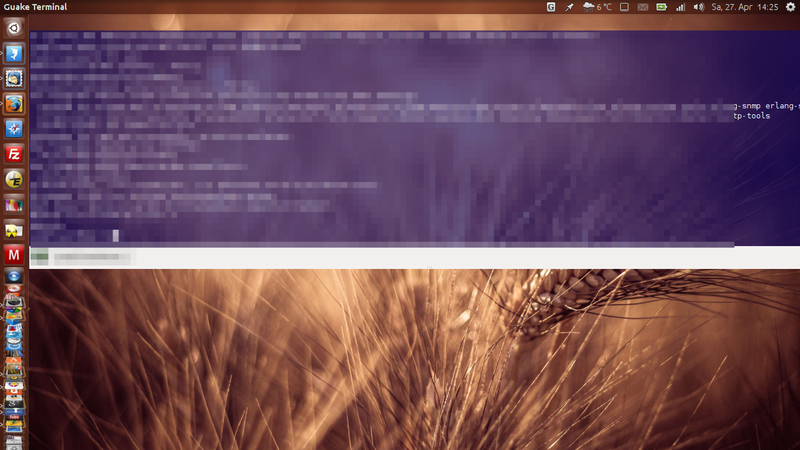 after upgrade to Ubuntu 13.04 the window of Guake shows up with a gap between its window and the panel but the window should begin directly below the panel. A bug returned for me after update to 14.10. Tried reinstallnig, purging - didn't help. Also "gravity north" workaround no longer works.